Pond Lehocky sponsored women’s leadership summit in Philadelphia. Pond Lehocky Stern Giordano is one of the top three most diverse Philadelphia law firms, with over 40% of Pond Lehocky's 39 associates being female, and has been recognized for attorney diversity in The Legal Intelligencer for three consecutive years. 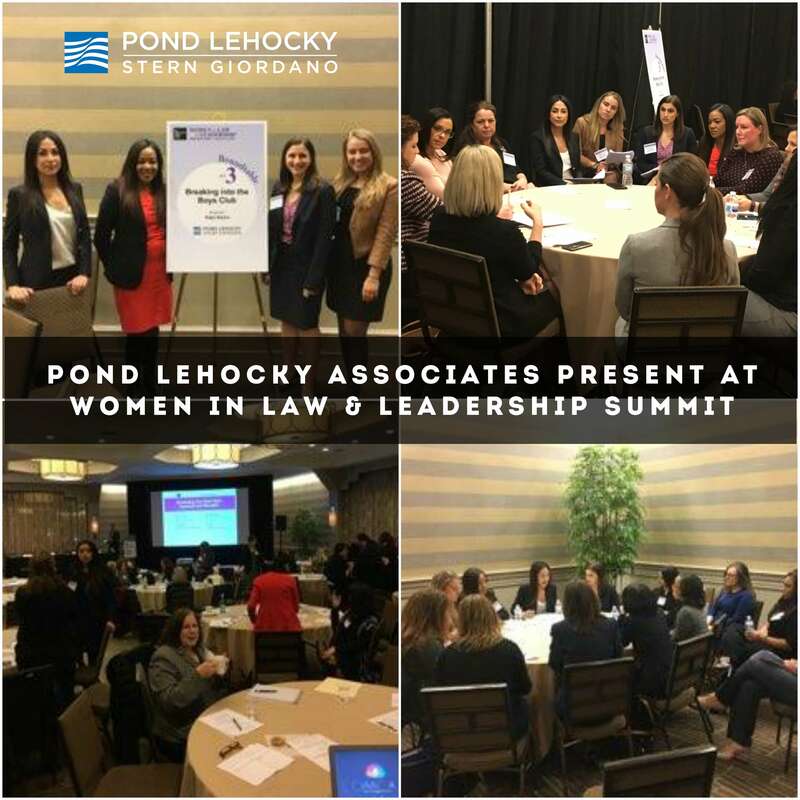 Pond Lehocky Associates Present at Women in Law & Leadership SummitPond Lehocky sponsored women’s leadership summit in Philadelphia.